“Getting a quality website is not an expense but rather an investment.” –Click To Tweet. Dr. Christopher Dayagdag’s words above focus on one single aspect—quality. You’ll have to rewind and compare the web development from yesteryears and today to get a better understanding of how far it has come. Technology, as you know, keeps getting better. What was hip before is now archaic. There are demands placed by new businesses and enterprises that push the boundaries of web development every day. In the context of web development trends 2017 was great. It gave the world truly beautiful and efficient websites. But new trends in web development need to keep coming to fulfil demands, and they will. It’s the only way to stay ahead of the competitive business curve. This post focuses on the latest website trends in 2018 which must be adopted if you’re on the lookout for a brand new website or ways to give your existing website a new avatar. But before you get into the top 8 latest trends in web development for the year 2018, you should know why keeping up the latest web trends is beneficial for you. The figures clearly indicate the need for responsive, elegant, and efficient websites in order to keep customers hooked. Here’s the list of new trends in web development that’ll help you do just that. Real-time web applications have been doing the rounds for years now, but it’s more popular than ever. Website development services all around the world are requested by clients to introduce this feature so that users can get instant updates and share them without a moment’s hesitation. This trend which is based on WebSockets works on an open-ended server-client connection. The server pushes fresh content as soon as it’s available. This, however, wasn’t the case back in the days where the client would have to request the server manually for updated data. Such is the demand for this feature that many other programming languages and frameworks are adopting it. The best example would be Ruby On Rails, which previously made use of server rendering. Having seen the flexibility and improvement real-time feature brings to the table, even they’ve integrated it and tagged it as ‘ActionCable’. One of the best website design trends that stood out in 2017 and continues to be popularised by website developers is Motion UI. Simplicity is key in the domain of User Interface. A cluttered, overly-flashy webpage with tons of advertisements and popups will not appeal to a user. The point is not to bring the number of GIFs and animations to a minimum or a maximum, but to keep it moderate. Through Motion UI your website is dynamic in comparison to other static websites. A lot of additional elements come into play. For instance, animated backgrounds and charts, smooth hovers and page header transitions, and modular scrolling. In a nutshell, with web design trends such as Motion UI is not just presenting content, but making it come alive so that users can play around with it and make the whole information-exchange process interactive. Did you know that by the year 2020, manual intervention/interaction with a user on a website will be only 15%? Yes, 85% of users on a website will proceed on a website without any human assistance. The introduction of chatbots, however, is nothing new. Website trends in 2016 first introduced chatbots in the picture. Although it was just the first step, 2017 saw an improvement in the amount of help provided to users. In 2018 website developers aim to heighten the quality of the same services. Come to think of it, chatbots are in high demand and must be made mandatory on most websites because you just don’t know what doubts a user may have. If there is a support team available but cannot engage a customer, a chatbot can start a dialogue and try to figure out the solutions based on frequently asked questions. This way a user experiences human-like interactions and gets their problems resolved by clicking on the links provided for even issues related to payments and browsing. It’s no secret that as the year progresses more users will require online support while visiting a website. With a chatbot in place, you also stand to save money, human resource, and optimize the entire workflow. The Blockchain is one of the latest web development technologies which is in high demand, least understood, and massively undervalued. You must’ve come across the term in the past—or maybe recently as a result of the hype surrounding cryptocurrencies—but still consider it as a grey area in the digital domain. Well, it can be defined as a string of devices that record transactions and assets that change hands. This process inspires transparency, accountability, and security all across networks. Transactions and managing products/services will be the crux of your website so authenticity and security will obviously come into the picture with blockchain, especially in the case of ecommerce website development. 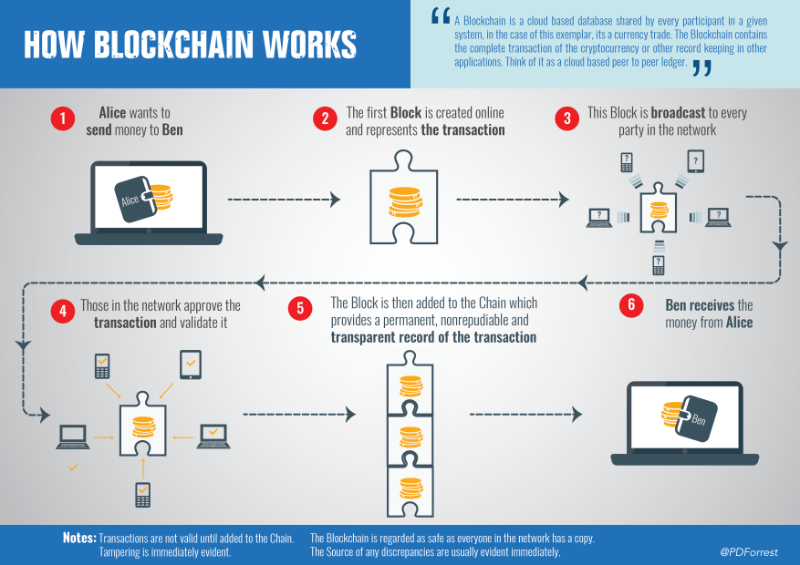 Nowadays, the financial, retail, health, telecom, IT, and education sectors implement blockchain to add an extra layer of security in order to thwart fraud and tampering. With such growing demand, blockchain is undoubtedly the best web trend you should consider for your venture. Read Also :- Stages for developing an effective website! A standout amongst new website trends for 2018 is the single-page for simplicity. What you get is a single-scrollable page with all of the content on it without any clutter. The benefit of this feature is that you do not confuse the user with tons of content, irrelevant information, and disorienting navigation from the menu. You have one page with all the data the user wants to see. In a way, you’re in control of the user’s behaviour on the website as you control him/her to stay on one single page. Also, such websites are mobile-friendly and the costs of development, design, and hosting are cheaper. Integrating this feature is essential, but you should consider the nature of your website while doing so. For instance, blogs and e-commerce websites will not sit well with this approach. On the other hand, businesses and organizations can present their services or products in a much more engaging manner with single pages. How many times have you been prompted by a popup or notification to enable Flash? Undoubtedly a number of times, and maybe even now whenever you visit a website with ads, videos, and animations. Now, understand this: Youtube defected to HTML5 from Flash. What does that tell you? Take a hint! If you haven’t figured it out already, the reason why Youtube and most websites prefer HTML5 over Flash is that that it’s compatible with mobile devices. The technology on Flash is outdated which results in a loss of traffic, and this number is huge. Flash also runs very slowly on Mac OS and Linux because it doesn’t have access to the GPUs. As a result, the CPU is burdened which makes it run slowly. Flash also has compatibility issues on certain devices. In comparison, HTML5 runs 58% faster and runs flawlessly on all devices and platforms without causing any heat-related issues, unlike Flash. Games and videos nowadays are presented in HTML5 format. The popularity around it is so high that almost all of the digital content accept HTML as the universal format. HTML might not necessarily be amongst the group of new website trends, but it is one that should not be overlooked especially if your website still runs Flash. Push notifications for mobiles is still a huge deal but seeing its value websites have started to implement it. 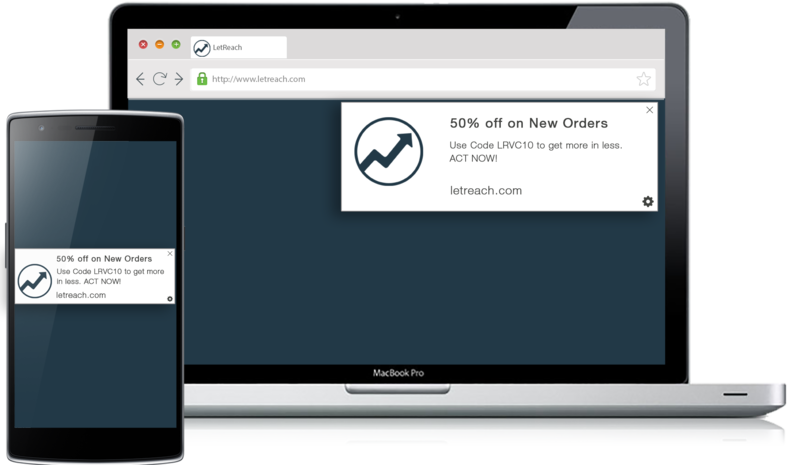 Considered as one of the latest web technologies, all you have to do is click on ‘Enable Push Notifications’ button on the prompt when you first visit a website. The benefit of doing this is that you’ll be prompted with any changes that take place on the website even when you’ve logged out or closed the browser. There are, however, a few more plus points. Read Also :- Fresh and Creative Web Design Techniques! Webtrends included under this subheading can be considered as an extension of the one above. 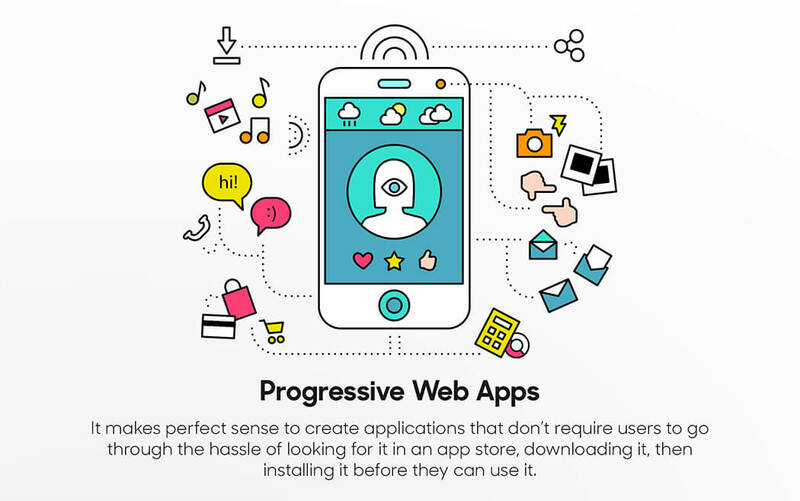 So, what is the meaning of progressive web applications? It was 2015 when progressive web applications were first introduced. Three years hence, these applications have become the sole entity that can challenge mobile applications. Also known as PWAs, they’re websites that give you the feel, look, and functionality of a mobile application. The best part about them is that they can even work offline as a result of service workers. The workflow of PWAs is quite interesting. The service workers are scripts that run in the background and cache information. So, when a user saves the shortcut of the PWA on the home screen, the service workers download relevant data and store it in the cache memory. The same service workers also ensure that updated information is cached everytime the PWA is connected to the internet. The prospects of PWAs look promising in 2018 as big industry players have certainly benefited from it. For example, it’s understood that Flipkart and Washington Post have witnessed a remarkable increase in user engagement, conversions, and time spent on the websites. 2018 has only just begun. And the abovementioned shortlist of 8 trends is but a small piece of the cake which is sure to see a few more additions every now and then. Other noteworthy web development trends that did not make this list include Angular 2 and Laravel 5.x for modern web development, the resurgence of static website development, integrations with social media platforms (social selling), video backgrounds, single e-commerce network, augmented reality, and the like. As an innovator, you must carefully understand the demands of your customers and choose from the list of features that offers the best user experience. Always opt for a website development company that meets your requirements, offers timely support and fixes, and completes the project on time and within your budget.